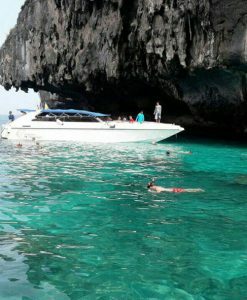 Phi Phi Island by speedboat Tour at Phi Phi Tour Best Price! 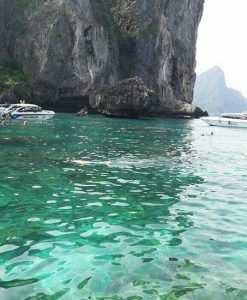 Phi Phi Island by Speedboat tour is a day-long adventure of every point of interest around Phi Phi Leh. 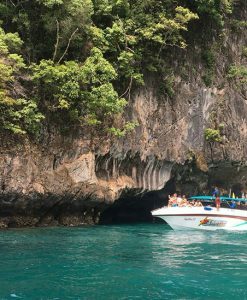 Fill your Insta feed with stunning pictures in front of Viking Cave—no filter needed! 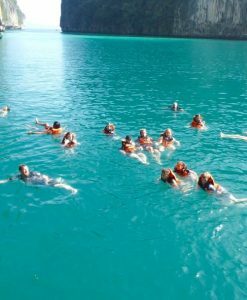 Next, enjoy the crystal-clear waters of Pi Leh Bay. 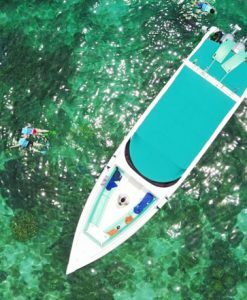 Who knew it was possible to see so far underwater? 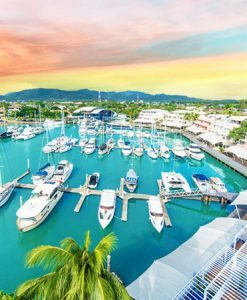 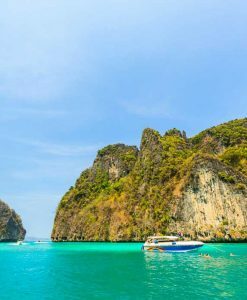 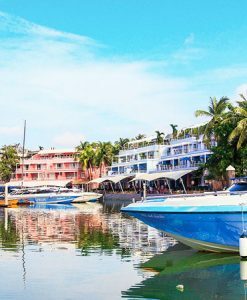 On Phi Phi Island by speedboat tour after your snorkel excursion, you’ll get a quick glimpse of beautiful Maya Bay, where cruisers and speedboats rest alongside the timeless traditional Thai boats. 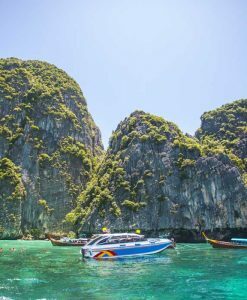 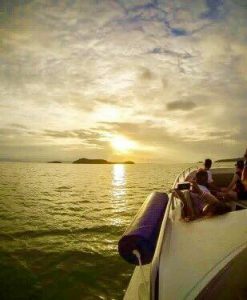 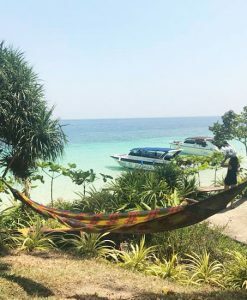 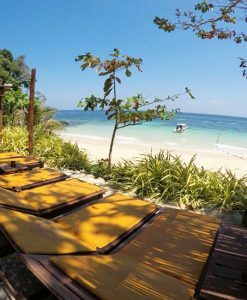 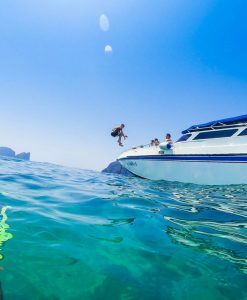 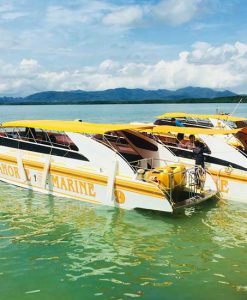 Visiting Monkey Bay with Phi Phi Island by speedboat it is the most convenient and surely the best way to reach the beach and all lagoons, you can snorkel again, or just sunbathe on the boat and enjoy the scenery. 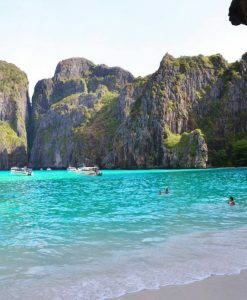 Finally, a trip through Loh Samah Bay will be the perfect end to a perfect day. 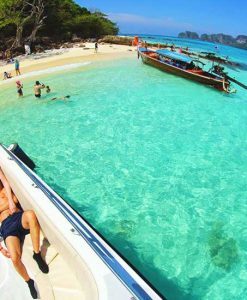 Phi Phi island tour by speedboat tour!